How localization is more about function, less about form. It’s tough enough to distinguish translation from transcreation. But what about transcreation and localization? That’s a more difficult distinction, because there are certainly areas of overlap. Transcreation tends to focus more on the look and feel, the messaging, and the creative side of things. Localization, on the other hand, tends to relate to making everything work properly. Typical examples of localization relate to displaying the right currencies, date and time formats, and units of measure. For example, see how SurveyMonkey, a Smartling customer, displays local currency, separating this from the language layer. If you are in the United States, you will see dollars displayed no matter which language you happen to be browsing the site in. 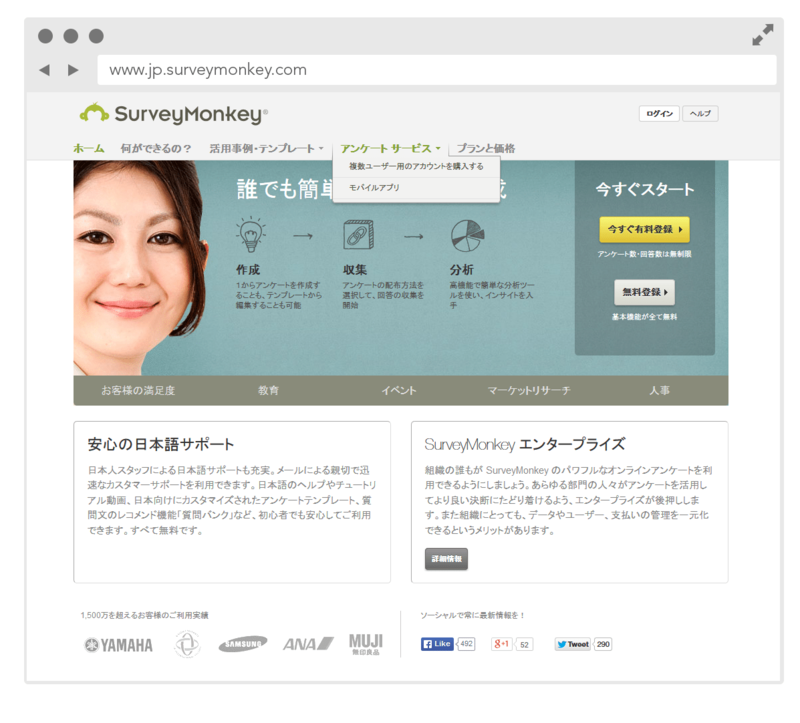 However, if you access the page from a country that uses another currency, you’ll see that SurveyMonkey displays the other currency while retaining the same language. This is a classic example of localization – displaying the right currency for the local market. Localization also entails displaying the correct products and services for the local market. You don’t want to show customers a product that isn’t appropriate or available for their local market. 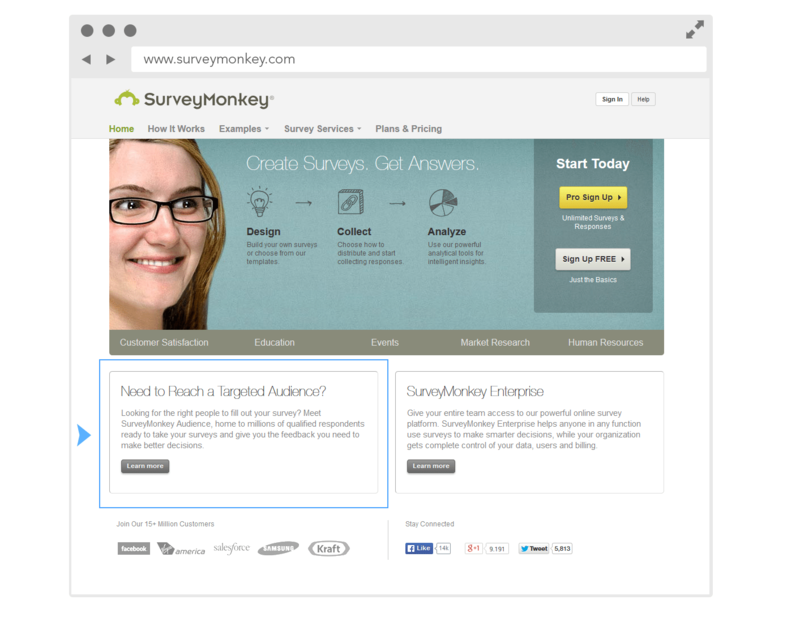 For example, see how SurveyMonkey displays their Targeted Audience service on the lower left corner of their home page in English. Because that product is not available in Korea, SurveyMonkey instead displays a video of their CEO giving a talk in Seoul on the Korean home page. This too, is an example of localization. This particular requirement – to display the right content for each local market – is a common requirement for any global business. 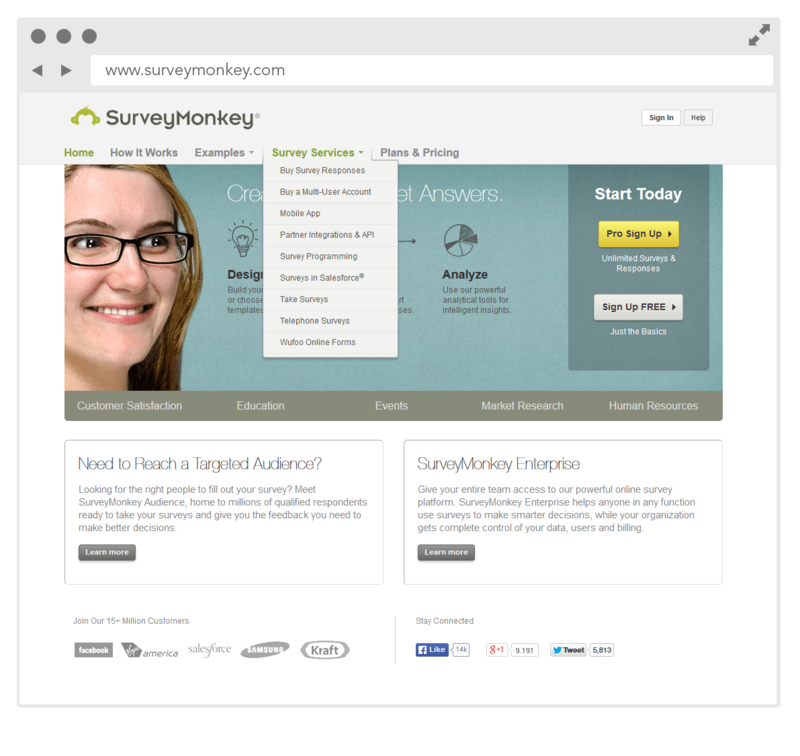 SurveyMonkey offers an array of products in its home market of the United States. For most other markets, the menu choices are fewer, usually just limited to two core products. If you are working with a transcreation service provider, they can advise you on the proper messaging for a given market, as well as the selection of appropriate images. They can sometimes even advise you on which products and services might be best for a given market, depending on the types of services they offer, such as local concept testing. However, localization entails more than transcreation. Localization generally refers to a broader range of services and processes, all of which serve to create a locally relevant experience for the end user of your software or website. Providing proper localization can be tricky and time-consuming if it’s done the old-school way, by manually managing an array of processes, tools, and vendors. Businesses that are globally-minded and technology-driven take advantage of localization software to combine the best of human creativity and automation, in order to improve efficiency and time to market. It can be streamlined and quick – especially if you avoid managing translations in spreadsheets, outside of a translation software platform.